Dry Lining Leeds Commercial And Domestic. 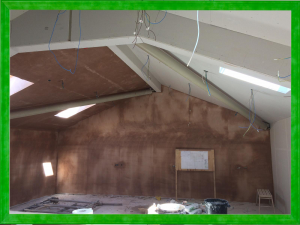 Looking for dry lining services? JK Ceilings have got you covered. We specialize in providing high-quality services for dry lining, Leeds. With our services, not only the walls and ceilings in your home or workplace will have a smooth finish but enhanced lifespan as well. There are numerous companies in Leeds that claim to provide the best dry lining services. However, none can match the standard of services set by JK Ceilings. At JK Ceilings, you can expect nothing but the best quality services from us. We are known to make no compromise on the quality of work we do; thus, you will get the perfect finishing and smoothness on the surface of walls and ceilings in your room. This will not only increase its value but lifespan as well. We handle each project that comes to us with the utmost professionalism. An exclusive is drafted by our experienced and skilled experts. This plan is implemented and executed in a professional manner; therefore, there is no chance of any delay under any circumstances. Whether you want services for dry lining, Leeds for your home or office, all you have to do is to contact us. We specialize in providing the best dry lining, Leeds services for every type of setting. The project is administered by an experienced supervisor who ensures attention to every major and minor detail is paid. Due to our vast experience and reputation of handling dry lining projects with professionalism, we are termed as a reliable choice in Leeds. We follow an individualized approach for each client that comes to us and draft a new plan for them based on the structure they want dry lining services for. Various other factors are also considered while making this plan to provide them with the best services for dry lining, Leeds. Numerous companies in Leeds offer dry lining services at high rates that are unaffordable for many. However, if you are contacting us, you can get dry lining services at reasonable rates. Furthermore, there are no hidden charges included in the total bill. They do not take much time for installation and are quite efficient. Generally, a lightweight cardboard is used for dry lining services, which makes it easy to manage and maintain. There are numerous decoration options available when it comes to the dry Hence, you can give your room a unique touch with personalized decoration. Dry lining offers thermal efficiency. Therefore, it is known to reduce the energy costs. For more information or to book our best dry lining, Leeds services, feel free to give us a call.